Another exciting year is upon us. We look forward to continuing our momentum as we ROAR into 2018-2019 with great enthusiasm and hope. This year we intend on building upon our success, creating additional opportunities to engage parents in leadership roles, providing cutting edge technology, and supporting our scholars, helping them meet the challenges of the 21st century through equity and access. We understand the critical role parents and families play in the academic development of their children. We at Olive Street look to continue to develop authentic parental leadership and involvement opportunities. 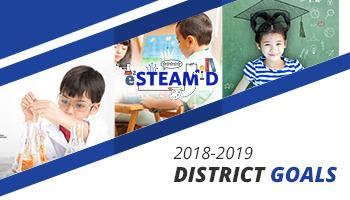 We also know that technology as part of the STEAM (Science, Technology, Engineering, Arts, and Mathematics) curriculum is no longer a luxury, but a necessity for our scholars to compete in an ever-changing world driven by technological advancements. Our commitment to developing a technological infrastructure that rivals and surpasses top schools will remain a priority. Our children deserve nothing less than the best we can offer to ensure they are prepared to enter the world with college and career ready skills. We promote physical and social well-being through designated grade level Physical Education, lunch activities supported by programs such as Padres en Accion, school-wide 100 Mile Club, the implementation of the Fab 5 and ELF curriculum, parent and student nutrition classes, character development, and social-emotional support through programs and supports from our Behavioral Support Team. At Olive Street, education is not limited to traditional subjects, it includes everything that leads our scholars to success, academically, socially and emotionally. At Olive Street, safety is and always will be a priority. Last year our school became a single point of entry school. All visitors and volunteers must report to the front office for a school pass to gain entrance. We truly appreciate your cooperation and understanding as we do our best to create a safe and inviting campus for students, families, and staff. Dismissing all grade levels at the same time proved to be quite a task, together we were able to overcome these challenges and make it work. We realize it is not perfect, but with your patience and understanding, and the help of our supervisors and staff, students were dropped off and picked up from school safely, which is always the goal. We thank you for this. There have been a few updates to the parents/students rights and responsibilities. Please be sure to read them over and become familiar with these policies and guidelines. For example, Olive Street recognizes the importance of celebrating birthdays and special events. However, in an effort to promote healthy habits, we kindly request that parents find alternatives to sugary and fatty snacks or treats as a way to celebrate their children’s birthdays here at Olive Street. We understand that a special treat is nice to have once and awhile, but we would like to continue to do our best in promoting healthy alternatives. These alternatives may include pencils, bookmarks, erasers, and stickers. Again we welcome you to a wonderful 2018-2019 school year, with great excitement and anticipation. As always, we welcome your concerns, compliments, complaints, or friendly conversations… our doors are always open. From physical altercations to rumors and gossip, bullying can have lasting effects on a student’s education. As a result, preventing school bullying is of utmost importance. Get tips on how to identify, prevent and stop bullying. At Olive Street, we understand the importance of keeping your students safe at school and online. Please click below to find some resources that will provide some information and resources. En la escuela de Olive St., entendemos la importancia de mantener seguros a sus alumnos en la escuela y en línea. Haga clic a continuación para encontrar algunos recursos que proporcionarán información y recursos.